Side panel, bar top and niche shelves are made from a continuous black worktop. The floor units with matt white glass fronts are encased within. Narrow contrast: the Corian worktop only 13 mm thick. The low sideboards across the corner follow the run of the bar top. They provide easily accessible storage space from the living area. 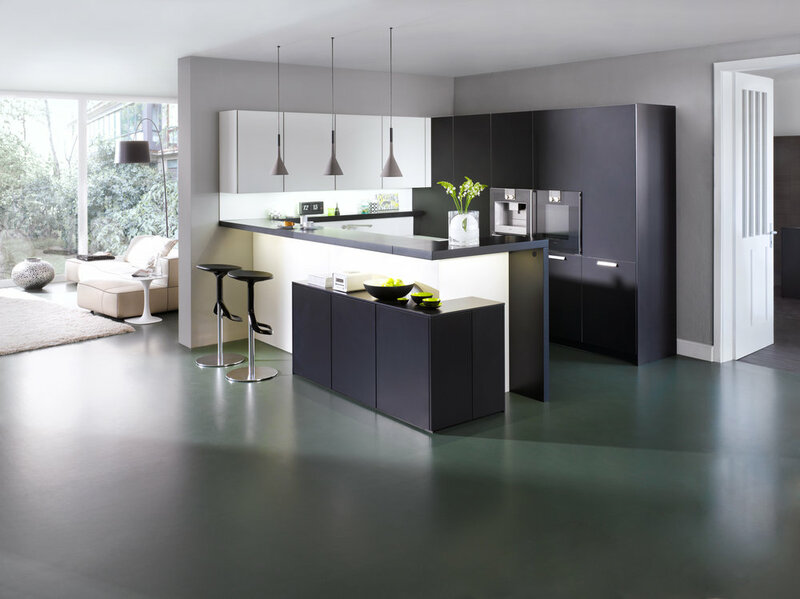 The doors extend to the floor, thus concealing the typical kitchen plinth. Tall corner units have a large storage volume that is shown here with four fully extendible shelves.